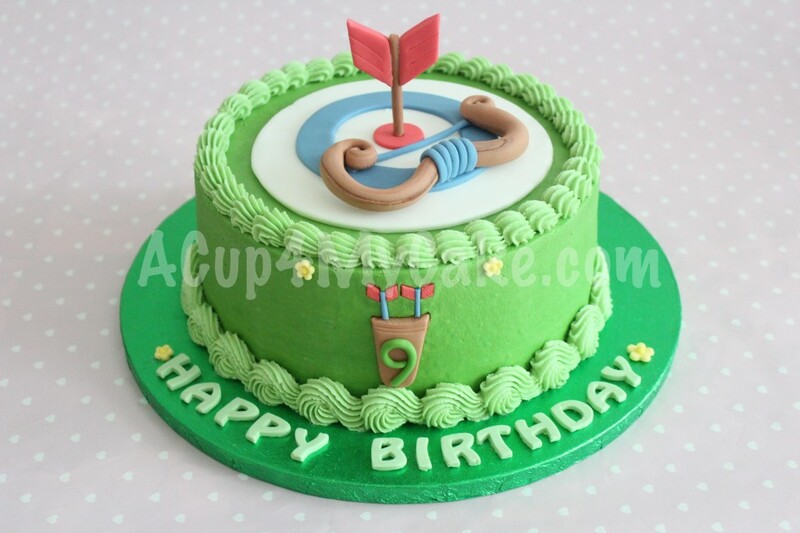 Last week I made this cake for an archery-themed party. 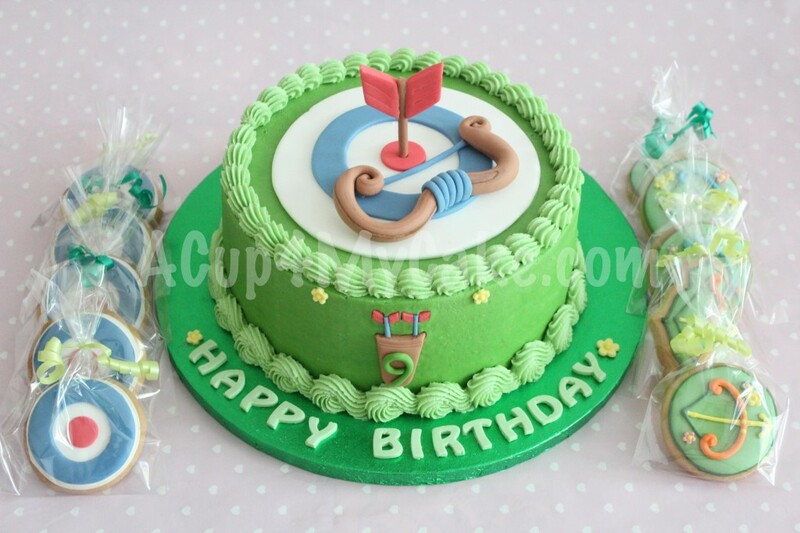 The birthday girl wanted a target, a bow and an arrow on top of a green cake, as well as some cookies to match the theme. I really hope she enjoyed it!! 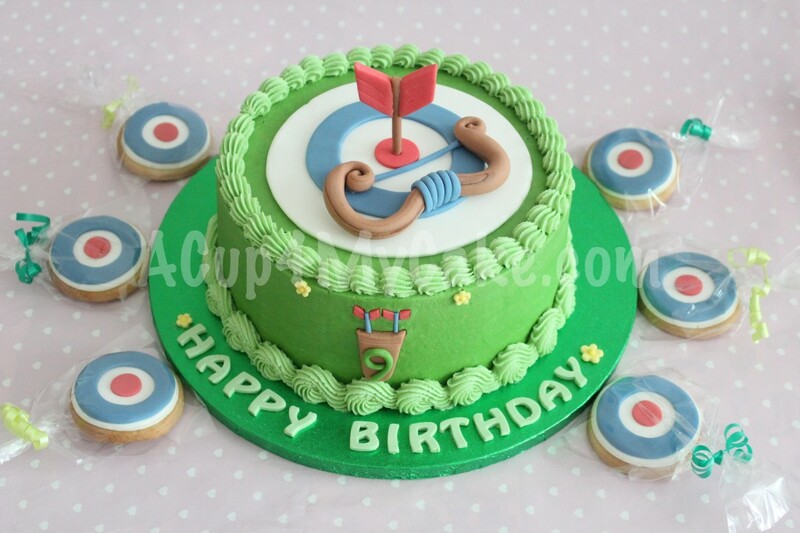 The cake was iced and piped with green buttercream and the archery decorations were made out of fondant. Some cookies were decorated with sugarpaste (targets) and some others were hand piped with royal icing (bows and arrows). 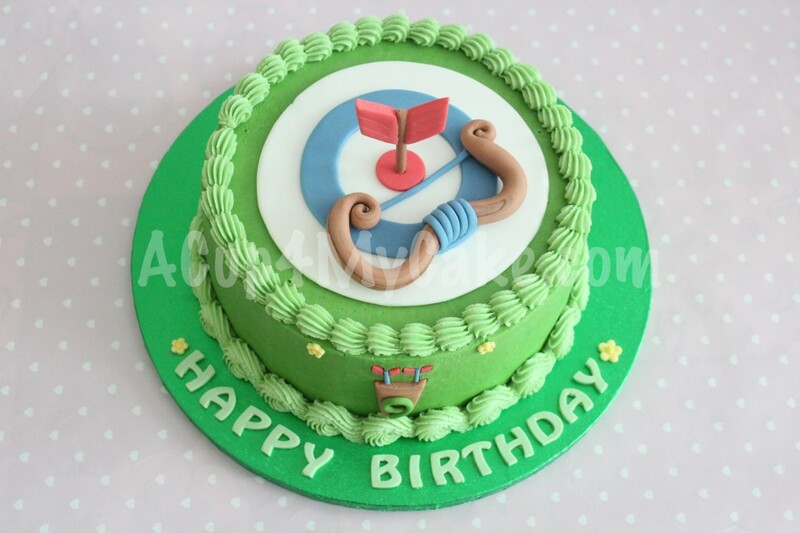 This entry was posted in Biscuits, Buttercream, Cakes, Cookies, Royal Icing, Sugarpaste.